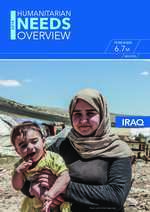 Iraq is experiencing ongoing displacement, with more than 450,000 internally displaced persons (IDPs) in formal camp locations, and more than 120,000 in informal settlements and collective centres throughout the country. From the initial displacement caseload of 3 million persons, mass returns to areas of origin has occurred. However, there still remains a significant humanitarian need to support those currently displaced for the foreseeable future. The dashboard is produced every month. 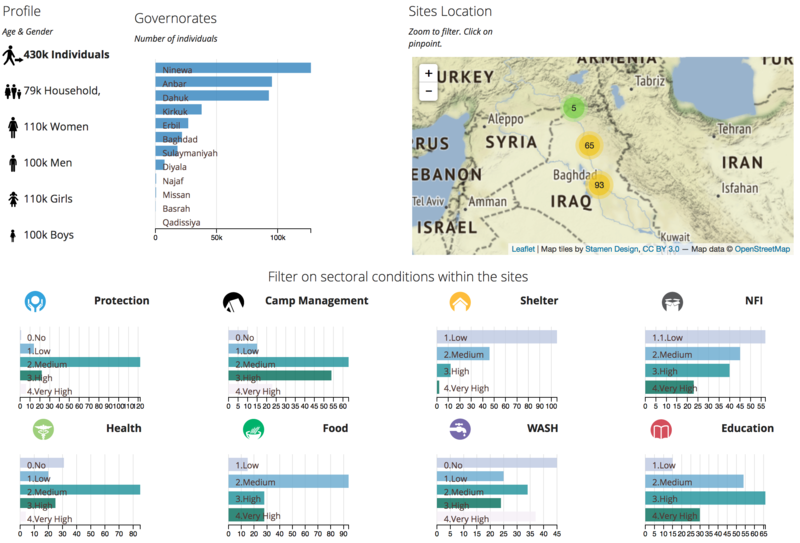 It visualizes the FSMT data and facilitates the user to filter the data for different sectoral conditions within the site. Click here to access the Online FSMT Dashboard. Produced monthly, is a detailed multi-sector assessment by camp managers of formal sites to identify key sectoral needs and priorities. Click here to access the Online FSMT Map. The RASP is the technical tool of the CCCM Cluster which captures data from informal settlements and provides location specific information about the population, their living conditions and humanitarian needs. Click here to access the Online RASP map. A real-time emergency site prioritisation tool to assess the immediate needs and risks in new formal and informal sites. 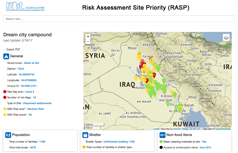 Click here to access the Online Rapid RASP Map. It redirects to sign up page for CCCM mailing list.